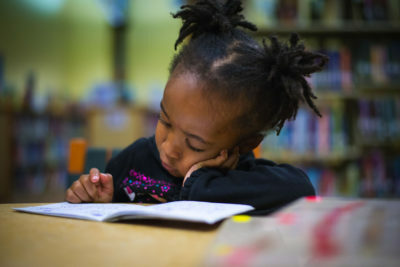 Research shows that children who do not read during the summer can lose up to three months of reading progress and that the loss has a cumulative, long-term effect on them. But reading just six books, at the appropriate reading level, over the summer can prevent that “summer slide” and keep a struggling reader from regressing. 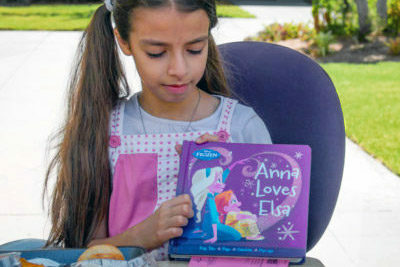 In response, the Suncoast Campaign for Grade-Level Reading (SCGLR) sponsors a Suncoast Summer Reading Challenge to encourage each participating student to read six books, at their appropriate reading level, over the summer months. Recently, Beth Duda, director of the Suncoast Campaign for Grade-Level Reading (SCGLR), led a conversation outlining the Suncoast Summer Reading Challenge [#SummerRC2019] as part of the second installment of the nationwide GLR Campaign Learning Conversation series. Last year, to avoid the “summer slide,” SCGLR engaged our four-county region and partnered with 83 summer camp providers and summer learning academies to encourage a love for reading. Why? Because nationwide, low-income children can lose an average of 2 to 2.5 months of reading skills each summer! SCGLR kept track of the number of children who participated in the challenge and the number of books read. In partnership with the public school systems, iReady scores were used to determine the amount of summer gains or losses in reading for those who participated through a Suncoast Summer Book Challenge site. 5,369 children participated with 4,915 completing the challenge by reading at least six books. In total, they read 126,787 books. 96% of the summer locations participating in the 2018 reading challenge gained reading skills, stayed even or lost 1 month or less of reading skills. The Suncoast Summer Reading Challenge Blast Off is an inspiring and motivational training event for the summer providers working with SCGLR. More than 250 individuals will experience outstanding educators presenting replicable lessons designed to inspire team building and a love of learning. Education Warrior, LaTonya Pinkard, featured on season 3 of the Netflix series Last Chance U, will deliver the keynote event on May 4 at 1:00p. Click here to register. SCGLR is relying on a team of volunteers to make the Blast Off event run smoothly. If you are available on May 4th and would like to join the team of volunteers, please register here. NOTE: High School students are welcome. 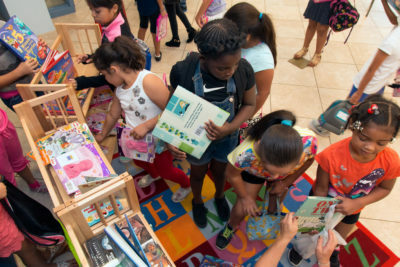 The Suncoast Summer Reading Challenge is implemented by SCGLR and promoted through local summer camps and businesses to encourage children to read, reducing the “summer slide.” Learn the ins and outs and everything in between about the 2019 Suncoast Summer Reading Challenge, and view sites from 2018 that had zero learning loss or experienced reading gains through the challenge. Grab a notepad, and watch the 50-minute webinar to learn how you can upload the Summer Reading Challenge into your #GLReading community or view the PowerPoint presentation. View the Suncoast Summer Reading Challenge 2018 Results.